(Newser) – While expectant American couples taking Lamaze classes prepare for labor with breathing exercises and relaxation techniques, midwives in Sweden are busy prepping soon-to-be parents on worst-case scenarios. "Car accidents, the car could break down, you maybe drive off the road. You have to be ready," Stina Naslund tells the Local. Naslund is a midwife who works for the Solleftea Hospital's maternity ward, set to be shuttered at the end of the month and leaving local pregnant women no choice but to drive to one of two other facilities more than 60 miles away when it's time for baby's arrival. 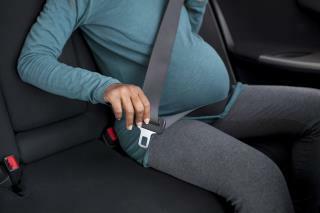 This development has prompted Naslund and another midwife to debut a course on the ins and outs of childbirth for those stuck in their cars and unable to get to one of those other locations in time. That is indeed helpful and not just in cars but also at home or wherever they maybe. Every woman should know how to give birth. Now that I’m pregnant, thanks to conceiveeasy, I’m wondering how I can learn this too. You gonna do what baby? Oh no you don't. I just paid 20 dollars to have my a'postree cleaned. Next up, "How to Get Raped by a Refugee...and Love It!"